The new osgRecipes project's main and only goal is to integrate as more as possible third-party libraries/SDKs with OSG to make use of both features. It is in public domain, so feel free to make use of everything here. osgEarth 2.2 is tagged.Thanks to everyone in the community who helped us test. osgEarth 2.2 contains a LOT of enhancements and new features, including two new libraries, osgEarthAnnotation and osgEarthQt. 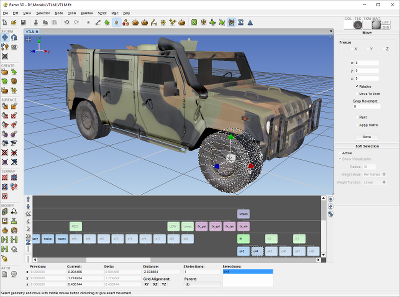 LINKÖPING, SWEDEN, February 29, 2012 -- Remograph, providers of products and services for the computer graphics, visual simulation and 3D modeling markets, today announced the release of Remo 3D v2.2. Remo 3D is an effective tool for creating and modifying 3D models intended for realtime visualization.